12 Different Types of Interview Styles – How to Prepare for All? Interviews are very important aspect not only for the job seeker but also for the job provider. Interviews are where the candidate’s employability skills can be tested to decide if he or she is perfect for a particular post. Since the firm puts in many resources in the hiring process, interviews need to be foolproof so that the firm can get good candidates at one go. A good job interview style can attract potential candidates but a poorly managed and planned interview may select poor candidates who will prove to be complete misfits. Each job is different, hence the interview style would also be different. Worldwide, different job interview styles are followed to make the process perfect. 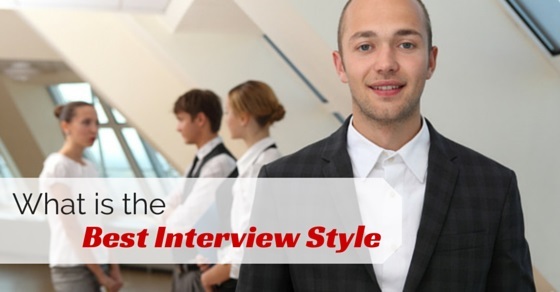 It depends on the firm and the kind of job to decide on the best interview style for them. The basic principle behind behavioural interviews is to assume about a candidate’s future behaviour and performance based on his or her past behaviour. It is a face to face interview; questions are asked not using words such as ‘would’ or ‘should’ but as to ‘what you have done’. A behavioural interview benefits both the candidate and the interviewer. The former gets to inform about his past achievements and reveal facts about his leadership skills or working under pressure. For the interviewer, this is a chance to know the real capabilities of the candidate because the responses of the candidate during the behavioural interview cannot be rehearsed or lied about. In this interview, the interviewer puts before the candidate a situation to solve, generally relating to business. The candidate is expected to understand the situation and probe deep into the topic by asking relevant questions and then gather a solution. A case interview gives an understanding about the reasoning, business and numerical skills of the candidate. While for the candidate, this is the perfect occasion to reveal his expertise in problem resolving and to exhibit his market knowledge. This is where the candidate’s competency at a job-related skill is tested. For example, a candidate interviewed for a secretary’s post may be asked to undertake a typing or a short-hand test. A competency interview helps the firm to zero in on the most skilled candidate for the job while a more proficient candidate gets to demonstrate his job skills and gets a direct chance of getting the job. Such an interview is more suitable for only junior levels and may not suit higher level hiring. This is one of the most common interviews held all over the world. The same set of questions is asked of every candidate. The questions are such that they test various skills of the candidate such as communication skills, team spirit, interpersonal skills and consensus-building. The interviewer gives scores to each candidate depending on the answers and who gets the maximum score is the preferred candidate. It is easier for the interviewer. The structured interview offers a structure to the process and saves time and gives a definite flow to the interview. As the questions asked in the structured interview are conventional, candidates get to practices and prepare well for the interview. The interviewer puts before a hypothetical situation and the candidate is expected to explain as to how he will handle the situation. For example, a candidate applying for a sales job can be asked to demonstrate selling an item wherein the interviewer may pose as a customer. The latter may even pretend to be a difficult team member and pose before the candidate a work situation. 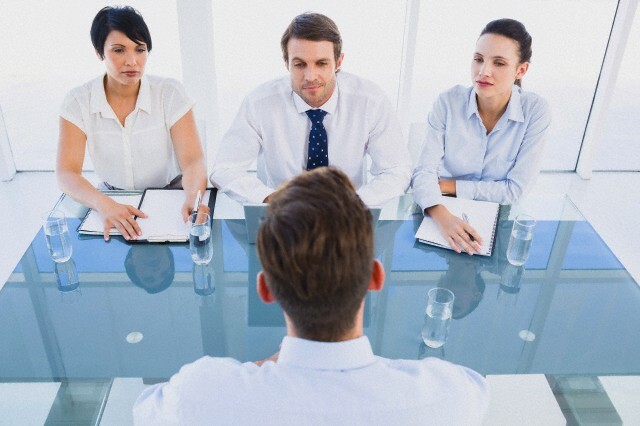 Situational interview can replace behavioural interview if the candidate is a fresher. Such an interview can be an additional interview to enhance the process so that it is more effective. Candidates too may find such interviews useful to demonstrate their skills and talents. As the name suggests, a panel interview is conducted by a group of interviewers. This panel prepares a set of questions which are put forth to each applicant. The panel members take turns in asking. The panel may also put forward some on the spot questions depending on the candidate’s response. Since there is more than one interviewer, there is more accuracy and clarity. Also as most of the questions are the same, the panel gets to hear different perspectives on the same topic and this makes selection easier as comparing becomes easy and reaching a consensus becomes faster. Also referred to as the pre-screening interview, this is often the first step for further interview or interviews. A telephone interview is best to know if the candidate is viable and also to know the qualifications, communications skills, experience etc of the candidate. Telephone interviews are cost-effective both for the employer and the candidate. For the firm it also saves much time as it can short list candidates for the main interview through telephone interviews. The candidate also feels at home with a telephone interview and has chances of doing well at it. In an unstructured interview, there can be planned and unplanned questions and these can vary with the candidate. Questions are asked to gauge the candidate’s understanding and capability. Some questions come up as per the candidate’s response. While the interviewer gets to dig deeper and get more clarity about the candidate in an unstructured interview, the candidate too feels at ease as the interview tilts to an informal meeting and he gets a chance to explain and put forward details. At the same time, since responses of different candidates are varied, there can be lack of precision and dependability. Also referred to as the traditional interview, there are only two people involved in this interview style, the candidate and the interviewer, who is mostly the HR manager or the department head. Except for the panel interview, most of the above interviews can be a one-to-one interview. For the firm, a one-to-one interview works well because it is easy to set up, and it helps to build a rapport with the candidate. For the latter too, such an interview is easy to handle because he only has to communicate with one interviewer, so the pressure is less. The cons can be that since only one representative of the company takes the decision unless there are further interviews, the decision may or not work. This interview style was considered as a great option earlier to detect how a candidate responded to stressful situations but today, hiring processes have become more practical and sophisticated and stress interviews are rarely conducted nowadays. While there are many components of a stress interview, a technique used by interviewers are to ask sudden and repeated questions and not giving enough time for the candidate to think or interrupting the candidate while he is responding. The employers believed that such kind of interview could identify worthy candidates who could perform under stressful situations or tasks. The disadvantage is that this interview style does not suit all jobs. Also, there is also a chance that the firm may lose out on a potentially capable candidate just because he wasn’t too good at responding to a mock stress. For the candidates too, such an interview tends to get too intimidating and not a great place to exhibit his talents and skills. In such an interview style, there are two or more interviews with the same candidate. The first interview will be the basic one to gauge if the candidate is the right one and then he will be passed on for a one-to-one interview or behavioural interview and then a task interview or a panel interview. Generally, some firms like to conduct all the interviews in a single day while some might prefer different days for each. Such an interview helps to get precision while hiring because the candidate who clears all levels proves his competence and is found to be efficient in all areas. The flipside is that serial interviews can get too tiring for candidates if conducted in a single day. The other con is that too many people interviewing the same candidate means varying opinions about him which can lead to inconsistencies. 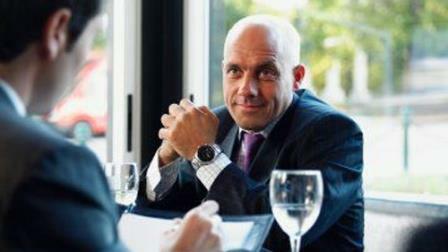 One or more interviewers take the candidate to a lunch to test his or her social skills, manners and to find how they fit in. Lunch interviews are mostly the second interview and very rarely the first. The employer gets to find etiquette of the candidate and since the interview is mostly unstructured and not in an office but at a restaurant, an informal atmosphere is created which puts both the interviewer and the interviewee at ease. Also the candidate too gets a chance to ask his questions regarding the job or the firm. The key to handle a lunch interview is to treat it as a lunch time although formally. Interview process is important for both the applicant and the employer. Hence it is necessary that it is conducted in such a way that it suits both parties. The hiring processes undertaken today have undergone changes and are evolving day by day, but the above job interview styles are the ones that have been practised by most of the organizations. It really depends on the type of job and the firm’s principles as to which style suits them but at the end of the day, whatever the interview style, the best one is which will put both parties at ease and gives them a chance for a honest and transparent conversation which paves way for a long-term association.